How will 2017 evolve for the first sign of the zodiac Aries? One thing is for certain, the Rams wouldn’t let anything block their path. While you are fearless it is still wise to plan ahead and know the best route to take. Let Aries horoscope 2017 guide you in your quest for success. Aries horoscope predictions are looking bright and exciting in 2017. Positive changes are coming and you have to be ready to take on these wonderful opportunities. Any endeavor that you have started in 2016 will find its fruition in 2017. Do not be overwhelmed by new challenges because your planetary ruler Mars will team up with Saturn and Mercury to deliver good tidings from your stars. Generally, Aries horoscope in 2017 is favorable in all areas of your life so gear up for a great year ahead. Aries have an all or nothing approach to love plus they tend to deal with matters of the heart in haste. Rams are also known to fall in and out of love fast. When the heart rules; falling for the wrong person will usually follow suit. Your impulsive nature can get the better of you but thanks to Venus’ strong influence you will have a more sensible approach to love in 2017. If you are in a relationship, you will be able to survive love woes and keep the flame burning. Love will abound for Aries in 2017. 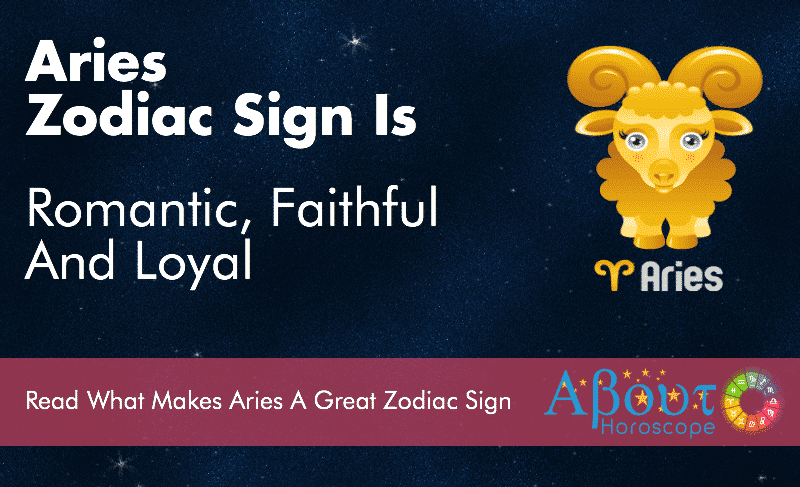 The more mature Aries may find themselves wanting to tie the knot. People under this sign are known to walk out of stressful relationships but this year they will be more open to fix things and work on issues. For the single younger Arians, short term relationships and fleeting infatuations are in the offing. There will be plenty of chances to meet new people in 2017 so choose well. Best love match for the Rams will be Gemini, Cancer and Leo. In the social scene, 2017 is a year that will usher in new friendships. You will have a lot of encounters with new people. With this, it is a good year to detach yourself from people who are not good for you and develop deep friendships with those who are aligned with your aspirations and beliefs. True friends whom you will meet in 2017 will form lasting bonds with you. Be ready to welcome changes and make bold decisions regarding your career in 2017. If you are feeling iffy and unhappy with your job, be open to the possibility that 2017 is your time for change. Evaluate yourself and figure out what direction you really want to take. Know what you are capable of in order to find the right career path and take that leap. If you are currently doing well at work, 2017 will be the year when the higher ups take notice. Promotions are highly likely to happen to people under this Sun sign. So continue doing your best because Aries Career Outlook in 2017 indicates that the stars are on your side. However, the pressure to excel can take its toll on you so learn to take things a step at a time. For those born under this sign who are still in school, stay focused and study hard. Your efforts will be duly rewarded. This is your time to shine so do away with distractions. Do not fret because Arians are destined to succeed academically in 2017. Make use of your competitive nature to ace your exams and school projects. Students who are taking up Technology and Science courses will really do well in 2017. Generally you will enjoy good mental and physical health in 2017. You will have a sound mind and body because your Arian energy will be put to good use in 2017. Though it will be a busy year, impatient Aries will step on the brakes in 2017. You will devote more time to exercise and even engage in sports. Do watch out for your tendency to get overly stressed when things do not go as expected. Get over your disappointments through activities that will help you recharge. Give yourself a break. Travel, hike with friends or go to places that will give you good vibes. Stay away from energy zapping people and do not get too absorbed with problems as this can take its toll on your health. Take everything in stride and keep in mind that 2017 is a great year for you. Avoid junk food and alcohol. Eat right and live well. Remember to do things in moderation. You may be a bundle of energy but the body can only do so much so avoid doing things to the point of exhaustion. Many business opportunities will come your way. Financial gains will be aplenty this year so it’s a good year to save and invest. You are prone to impulsive spending so seek advice from people who know better. It is good to reward yourself after all that hard work. Just remember to put a ceiling so as not to run dry. Also be on guard, when you receive offers for joint ventures. Do not get sweet talked into investing your hard earned money without getting into the nitty gritty of business. Explore all your options and plan your course of action before taking the plunge. Finance luck maybe on your side in 2017, but carelessness will forfeit all that. January – A fruitful month for Aries as Jupiter lingers in your money house. Make time to meet new people and reconnect with friends. Expand your network because one of them might just be your key to prosperity. Avoid risky adventures this month and take care of your health. February – Trust your instincts and be ready to make a move. Changes at the work front will take place and it’s a good month to start a new project. Love is the air for single Arians, the person you are eyeing can suddenly enter your sphere which makes this month exciting. March – This is a prosperous month because Venus enters your money house to join Jupiter. It is a good month to give new business ventures or partnerships the green light. Love is still in the air and single Arians may find their match where they work. April – Prosperity streak continues and this is actually your best financial month in 2017. Love abounds and relationships may develop within the neighborhood. You may find romance in school as well. May – Time to take a break and spend time with family. After going full throttle in the previous months, you will find peace with people closest to your heart. Relationships will be harmonious this month. June – Your social life peaks this June and chances are you’ll meet someone interesting. This is the best month to travel so plan ahead and go feed your adventurous side. If in a relationship, this would be an opportune time to take a trip with your partner. July – You will have a smooth sailing month as your pace slows down a bit. You can relax now that all your hard work is paying off. Bask in success but keep your spending habits in check. Buy only what you need and avoid the temptation to over spend. August – Friendships will be tested this month. Be wary of people around you because you cannot trust all of them. On a positive note, you’ll be able to discover who your real friends are. Keep them and bid goodbye to the ones who disappoint. October – New opportunities as well as challenges come your way at work. You may be given additional responsibilities or be required to further hone your skills. Relationships bask in sunshine this month. However, watch what you say to others in order to avoid conflicts. November – This month will be a quiet one. Do not get impatient but instead make use of this opportunity to relax, unwind and enjoy life. Single Rams have a good chance of finding love in November, so go out there and socialize. December – Use the last month of the year to spend time with people you love. Slow down at work and enjoy the holidays. Money luck is up this month and you will have more than enough to last this season. Open your wallets for Christmas bonus and money gifts from loved ones. 2017 will be a fun and exciting year for Aries. Romance, better job, new business opportunities, positive changes, project completion, good health, new love and a very productive work year awaits you. It is a good year to find ways to win over your weaknesses. Unlearn your bad habits and focus on making the most out of 2017. A good year like this is hard to come by, so take advantage of it. Live each day with your trademark energy and enthusiasm.